Grubhub Commission Rates: How Much Could You Save? The numbers – broken down. 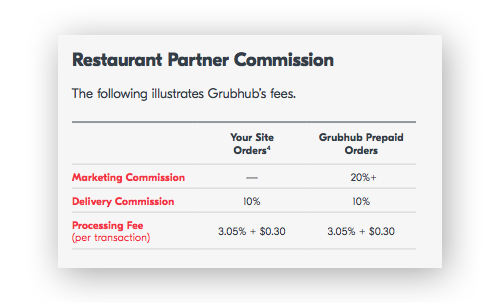 The base commission rate for Grubhub orders is 10% PLUS a processing fee of 3.05% + $0.30. To make sure your listing is seen you may need to pay an extra 20% or more in marketing commission on top of that 13.05%! What Grubhub alternatives are there? 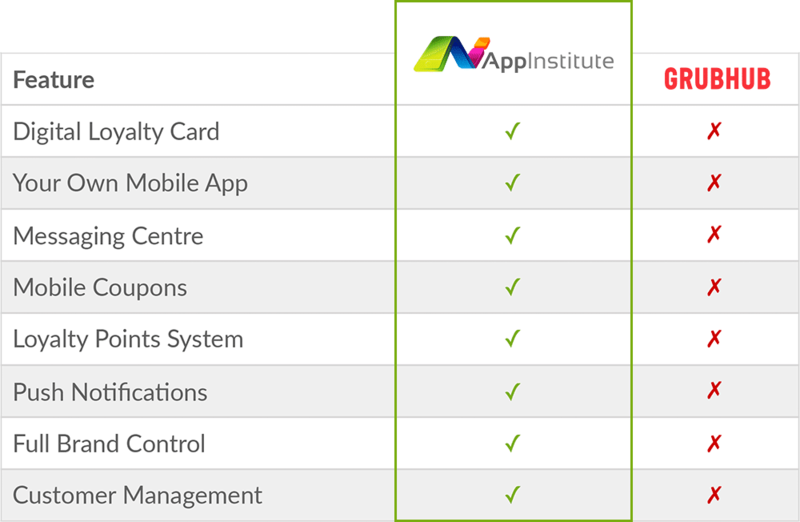 With AppInstitute, you can create your own takeout app for both iOS and Android without writing a single line of code. Having your own app is a fantastic Grubhub alternative – with some added benefits you won’t get anywhere else. 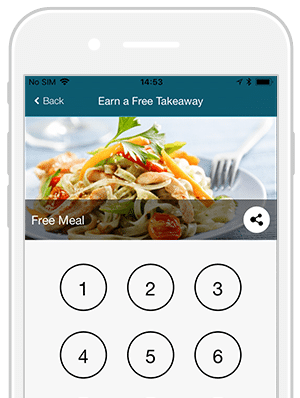 Easy one-click ordering lets users to order dishes from your business from straight from their phone. Creating their own account will allow customers to save their ‘usual’ order and keep coming back for more. All the pros of an takeout aggregator – without the chunky commission rates. Commission isn’t the only problem with platforms like these. They make it a lot harder to encourage repeat business and reward customer loyalty. With your own mobile app – you can reward customer loyalty and encourage new customers to return to your restaurant. 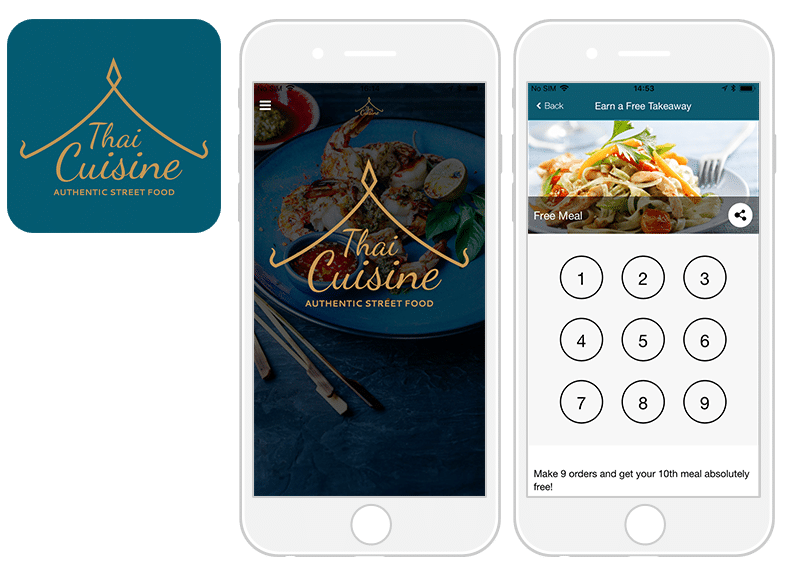 Boost your branding and give your restaurant a more professional look and feel with an app that totally matches your brand identity. Promote your own business, and not someone elses! 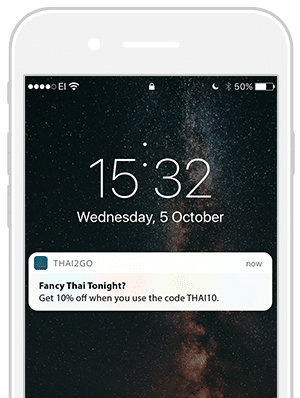 Harness the power of push notifications to improve customer communication for your takeout business. Whether you want to update their order status, shout about the latest offers and deals or just remind them you’re there – push is a fantastic way to touch base with customers. Use geofencing to send notifications to those within a certain area for added marketing power. We’re online and ready to help you build your app today. 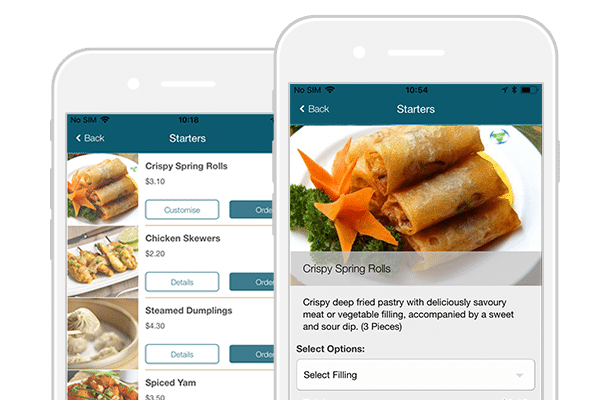 The takeout template features a food ordering menu, checkout system and loyalty program built-in. Your business info and brand colours are automatically pulled from your website and Facebook. Create your menu add custom toppings and extras and upload images of your food with our no-code editor. 4. Launch your takeout app! Launch your new app in a few clicks and begin marketing with the free resources we provide you!